The color alone makes me want to drink it! 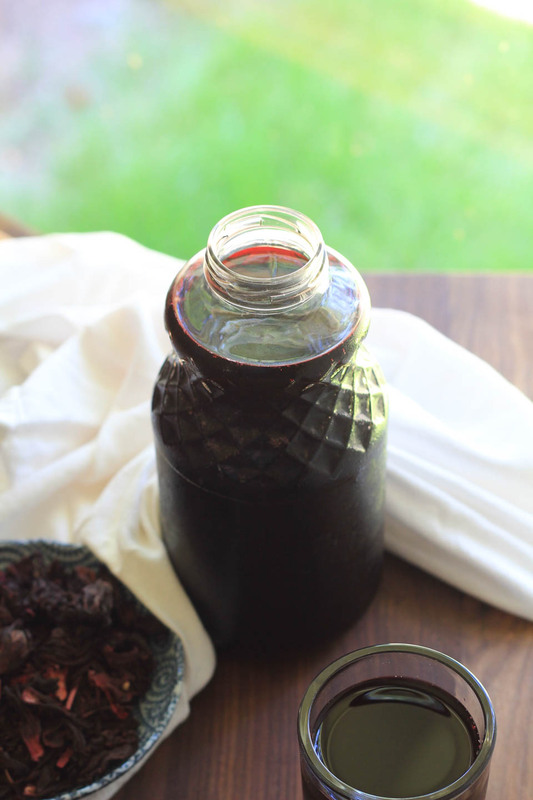 When I look at this Cinnamon Agua de Jamaica is says healthy to me. Maybe it’s because for years people always say deep red and deep purple foods are have antioxidants are known to be healthy. 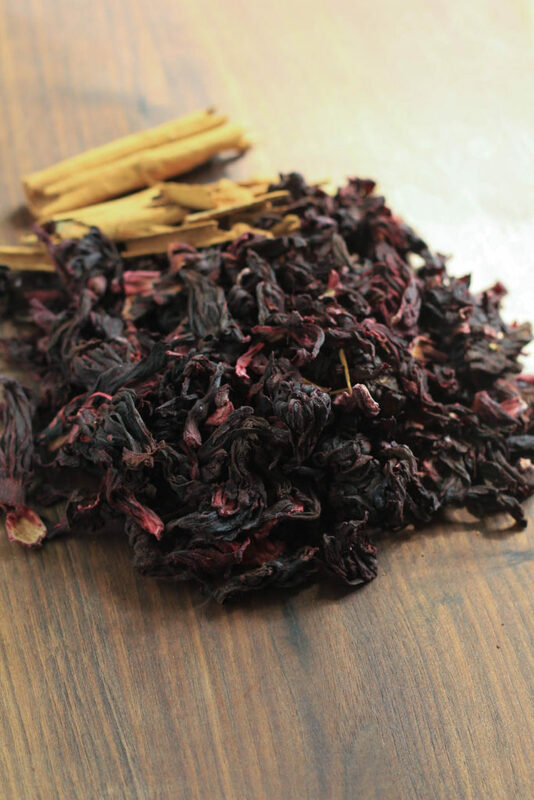 This Hibiscus Tea is no different, it does have health benefits and tastes super good. I’ve been making agua de jamaica for years but I wanted something a touch different, so one day I added cinnamon sticks. It was pretty good, but not exactly what I wanted. The next time I made it I thought duh… break up the cinnamon sticks like I do for other recipes to infuse the tea with more cinnamon. Of course it worked, no brainer there! Thus this recipe was born and super easy to make. Add sugar, honey, or whatever sweetener you like. But taste as you go, because it just needs a touch of sweetening, the hibiscus leaves and cinnamon don’t need much. They taste good as they are! Add some bubbly or sparkling water to dress this up a bit. It makes for a pretty party drink, or simply something to enjoy on a Summer day. But don’t think this is just for Summer, you can totally warm it up for a Winter tea too. 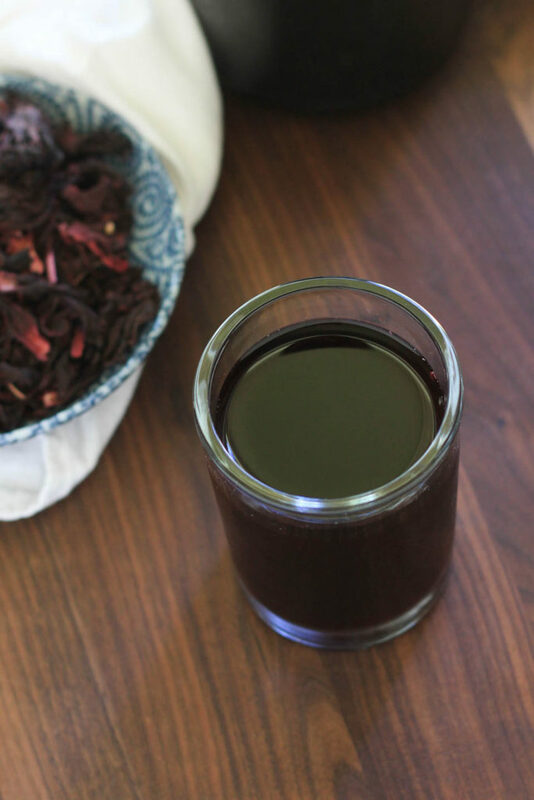 Place hot water, hibiscus flowers, and cinnamon in a large pot. Steep for 1 hour. Strain then *sweeten, and refrigerate. Store in a jar or jug in the refrigerator for up to 2 weeks. *Sweeten with honey, cane sugar, or whatever you like. It does need a touch of sweetening, but taste before adding anything, and taste as you go so you don’t add too much sugar. You can also add ginger ale, sparkling water, or champagne. Thank you so much! You can find them in many bulk sections of all grocery stores nowadays. I buy them at the Mexican market, because they always have them, but check any local stores!